The literary world is filled with wonderful words. But how does pen on paper pay translate into a business? Kylie Malone, copywriter, designer and businesswoman share’s her reflections on turning writing into a viable business. Kylie avoided the lengthy details setting up her business, to instead focus on the essentials. “I realised that all I needed, essentially, was the ABN, a website and a rough business plan." “I came from a creative background, not a business background, so working out how to run my business has been an invaluable learning curve." Along with admin tasks like getting an ABN, registering a business name and sending a quarterly Business Activity Statement (BAS) to the taxation department, the most important aspect of Kylie’s work is her website. The rewards of flexible working hours are countered by a lack of financial security at times. “I may have a run with lots of client work and that feels a fantastic, but then there’ll be quiet periods where it’s a little bit wobbly and unsure,” she explains. “The way I counteract these is by making sure I approach clients even when I have plenty of work." 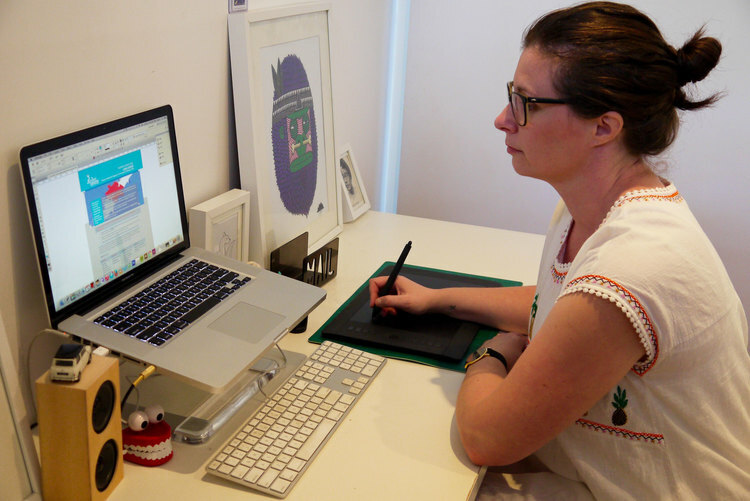 Wanting more creative freedom, Kylie soon took the leap and started her own business, after deciding design and writing were the avenues she sought to pursue for her career. “The creative freedom of having my own business is so rewarding,” says Kylie. Kylie uses MailChimp to send weekly e-newsletters containing tips, articles and infographics that may be of value to her clients.